I liked experiencing a different, less touristy and more local area of the city. The staff at the check in point was very helpful. The location was great only a couple minutes from the hop on hop off bus The neighbourhood has many shops and bakeries and specialty wine and food shops. The place was comfortable and modern and an elevator and airconditioning. It was super clean! The receptionist was very accommodating to meet our specific needs for arrival. The apartment was clean and neat. Everything we needed was there and all appliances worked. Great apartment! Me and my friends always travel on a low budget and this apartment was the best stay we had. Perfectly located, this place is excellent for it's price. The apartment is excellent and in mint conditions! Remodeled and clean apartment!! The apartment was great and clean. No complaints at all. To pick uo the key we had to go to the central office, which is not close at all. The staff was helpful. The thing is to find free parking was impossible or even park your car in the street. I paid 21 euro for underground parking lot from 11pm-9am. It would be great if at least they have special rate for the guests. The apartment was very clean and comfortable. The market and stores just around the corner were great to visit for fresh fruit and bread and pastry each morning. I liked the decor of the apartment. The beds were comfortable and the shower was nice. This apartment was just a short walk to the metro which made exploring the city easy. There were four of us that stayed in the Executive Apartment and we loved that it had two full bathrooms. We were provided with plenty of towels for our six night stay. 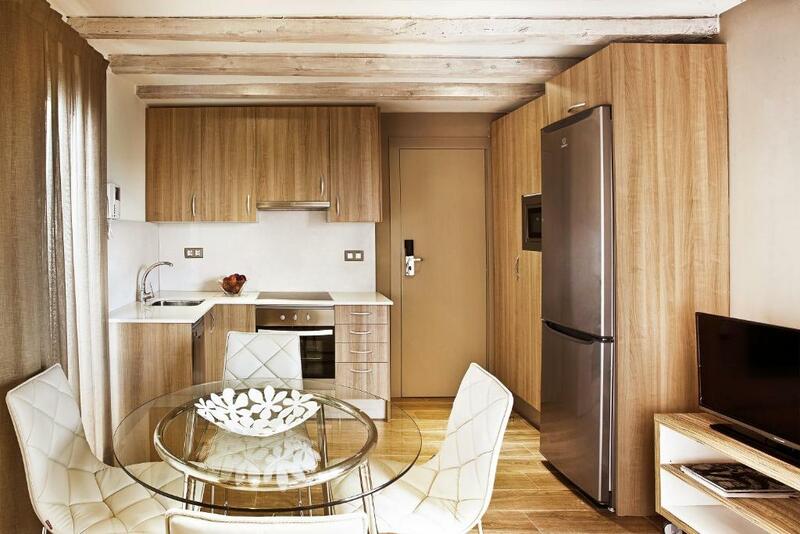 Lock in a great price for Barcelona Apartment Milà – rated 8.6 by recent guests! One of our best sellers in Barcelona! Barcelona Apartment Milà is in a central location, a 7-minute walk from Barcelona’s Joanic Metro Station. 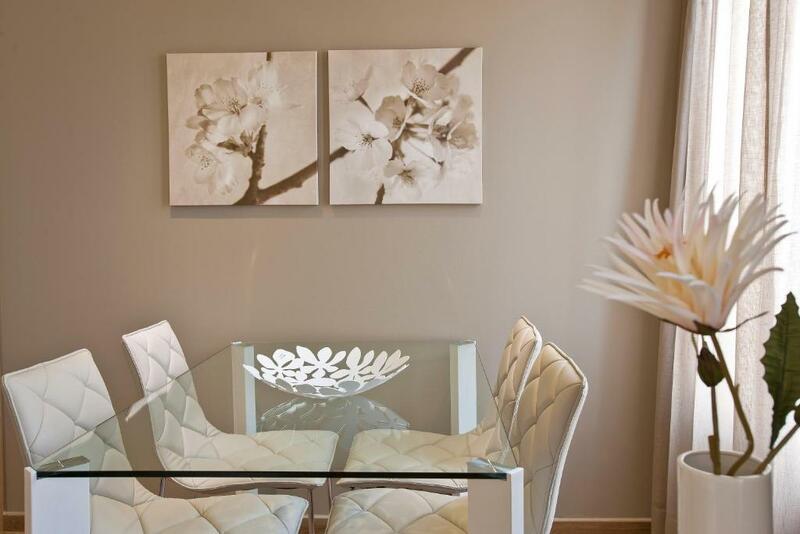 Each apartment is air-conditioned and features free Wi-Fi and a flat-screen satellite TV. The apartments have one or two bedrooms and some have a sofa bed in the living room. All have a private bathroom with a shower, hairdryer and free toiletries. The well-equipped kitchen includes a dishwasher and washing machine. The Sagrada Familia is a 20-minute walk from the apartments. You can reach Plaza Catalunya in 20 minutes by Metro. 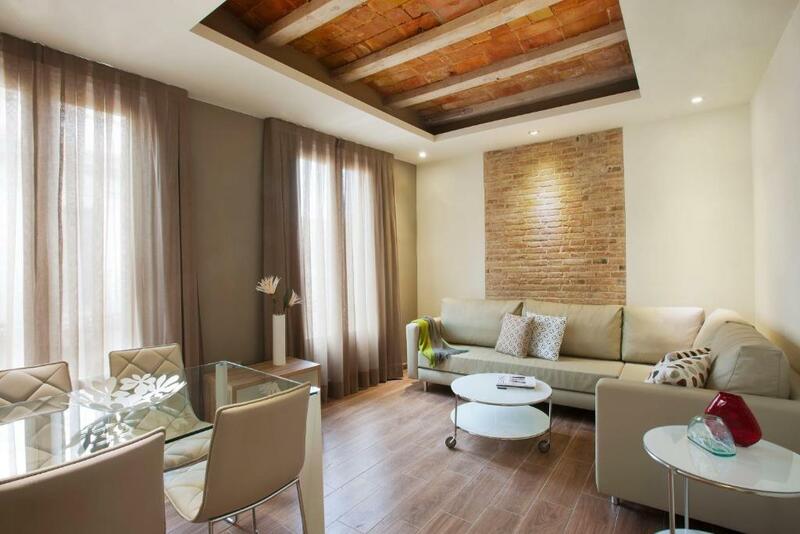 When would you like to stay at Barcelona Apartment Milà? 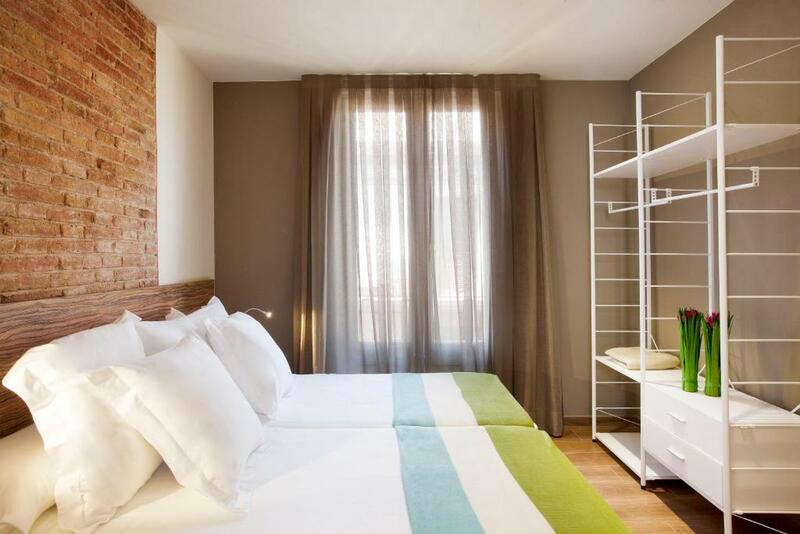 Centrally located, 7 minutes’ walk from Barcelona’s Joanic Metro Station, this air-conditioned apartment features free WiFi and a flat-screen satellite TV. It has 2 bedrooms and a private bathroom with a shower, hairdryer and free toiletries. The well-equipped kitchen includes a dishwasher and washing machine. This apartment has a maximum capacity of 5 people. 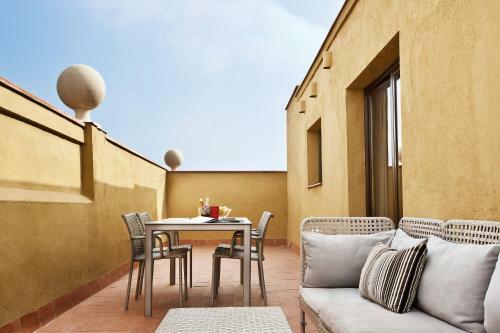 Centrally located, 7 minutes’ walk from Barcelona’s Joanic Metro Station, this air-conditioned apartment features free WiFi and a flat-screen satellite TV. It has 1 bedroom and a private bathroom with a shower, hairdryer and free toiletries. The well-equipped kitchen includes a dishwasher and washing machine. This apartment provides a terrace with street views. It features a sitting-dining room with a sofa bed. There is a fully equipped kitchen with a dishwasher and an oven. 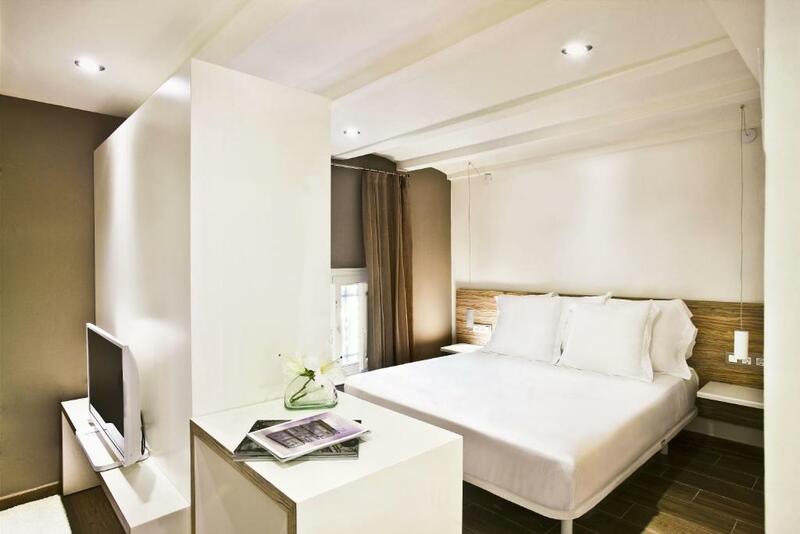 There is 1 double bedroom and an additional bedroom, as well as 2 bathrooms. 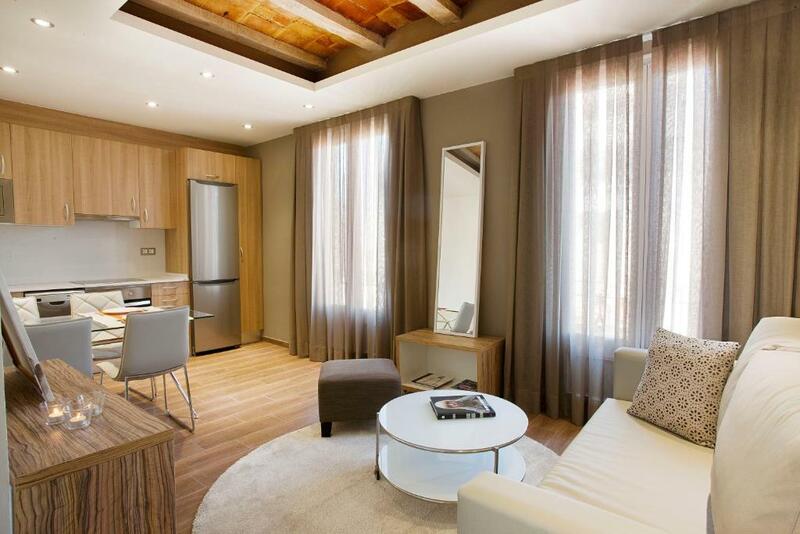 Spacious, light apartments close to Passeig de Sant Joan and other areas of interest, including the Sagrada Familia. A new apartment building located in the centre of the Gràcia district, next to one of the city's markets. Abohemian, cultural and traditional atmosphere in which to discover the most authentic of Barcelonas. 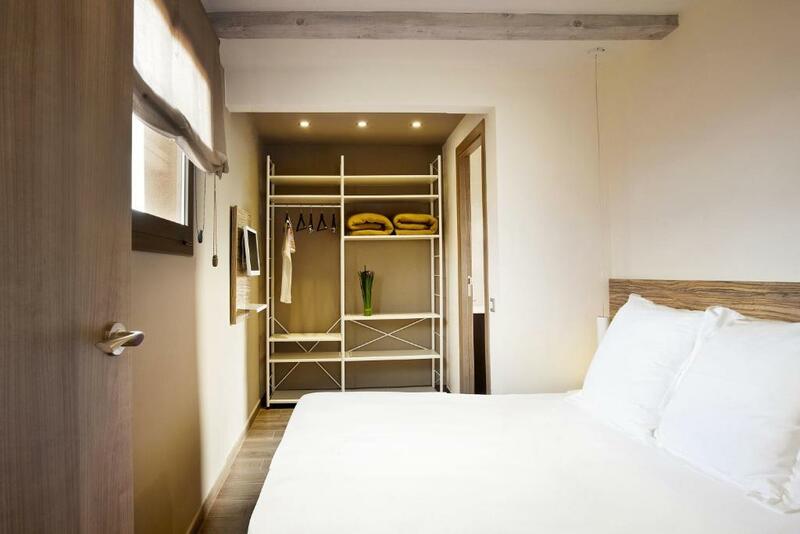 House Rules Barcelona Apartment Milà takes special requests – add in the next step! Barcelona Apartment Milà accepts these cards and reserves the right to temporarily hold an amount prior to arrival. Apartment was lovely & clean. Very spacious and ideal for children. They accomodated a slightly early check in. 24h contact service in case you required help. Many tube stations or bus stops relatively nearby to get to the centre of town but they will require a tiny bit of walking. Lots of small shops and cafes nearby. It is a long walk to reception. The apartment was really clean and well appointed with everything you could need. The beds were really comfortable. It was on the top floor with a huge terrace which catches the sun all day. You could see the Sagrada Familia from there. The lift wasn't working properly on the last 2days - we had to get out on the 1st floor each time. We only had one pillow each - but we were provided with 3 more when we asked. Everything else was fine. The apartment was clean, the beds were comfortable, the terrace was nice and private and the location was good. Martina on reception was particularly helpful and friendly when we checked in - she also gave us restaurant recommendations and told us a little about the area. Self Check in process is in my view, unnecessary requiring a lot of email, printing and signing coordination. The beds were super comfortable! Having 2 Bathrooms was great . We couldn't work out the oven so ended up not using it. We would have liked 2 pillows each. Otherwise it was perfect. Great space, great location. There is a buzz about Gracia. The facilities were excellent. Great apartment, double room with en suite and twin room were all very clean and the kitchen had everything we needed for a weekend for 4 people. Great location in a lovely area just round the corner from Joanic Metro station. Loved the surrounding area. Everything was very good, from the check-in procedure and taking over the keys, which was very easy by the way. Martina was great, Mila apartment has all the facilities you need, comfort, located in the liveliest neighborhood. We strongly recommend! Bedroom t.v badly positioned Single beds a little small for a a male 21 year old Safe box wasn't securely fitted, anyone could walk off with it!